I graduated from Graz University of Technology (TU Graz) in the field of chemical engineering (MSc in 2006, Dr.techn. in 2010). After a Post-Doc with Prof. Sundaresan (Princeton University, New Jersey; http://www.princeton.edu/cbe/people/faculty/sundaresan/group/), I returned to TU Graz, where I now hold a position as “Universitätsassistent” (Assistant Professor). I’m interested in the development of theoretical models and simulation tools for multiphase flows and the flow of fluids with complex rheology. I use the concepts of dimensional and regime analysis to characterize and (hopefully) understand flow phenomena in various areas (e.g., flows of granular materials and polymers, gas-particle flow, suspension flow, bubbly flow, three-phase flows like that in flotation cells, condensation phenomena). I use discrete and continuum-based models to numerically study these flow phenomena. Specifically, I’m interested in momentum, heat and mass transfer in fluidized beds, and transport in dense suspensions in general. These extremely complex systems still lack of robust quantitative models, such that a design and optimization of associated processes is currently not feasible. My broader vision is to make simulation tools more attractive by building a simulation environment that is easy to use and contains physically correct and robust mathematical models. In close collaboration with JK University Linz, CFDEMresearch GmbH and DCS Computing GmbH, currently my main focus is on integrating my previous research into the tool "ParScale", "CPPPO", as well as the LIGGGHTS and CFDEM platform (http://www.cfdem.com/). Besides this, I have implemented the CFD-DEM solver “r2d2”, which couples OpenFOAM® with a GPU-based solver for particle motion. I have access to the HPC platforms of the TU Graz (d.h., dcuster.tugraz.at), as well as Austria's largest computing machine VSC-3, and also perform simulations on various GPU-enabled machines. 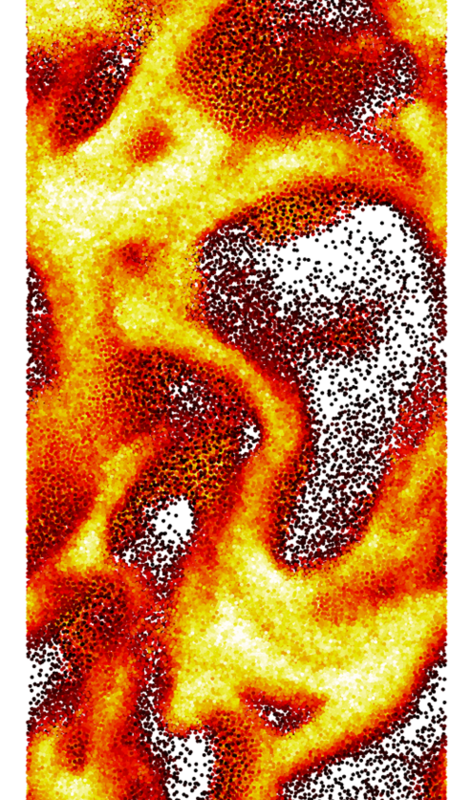 My experimental work focuses on high-speed imaging (using a IDT Os8, 5kHz @ full resolution), mainly for granular Particle Image Velocimetry (gPIV) applications.